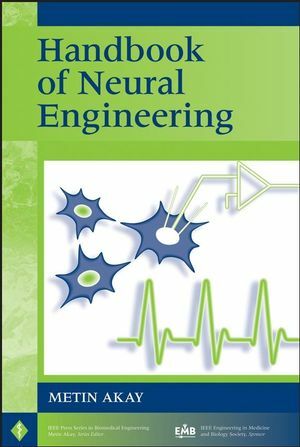 The Handbook of Neural Engineering provides theoretical foundations in computational neural science and engineering and current applications in wearable and implantable neural sensors/probes. Inside, leading experts from diverse disciplinary groups representing academia, industry, and private and government organizations present peer-reviewed contributions on the brain-computer interface, nano-neural engineering, neural prostheses, imaging the brain, neural signal processing, the brain, and neurons. Metin Akay, PhD, is an interim chair and Professor of Bioengineering in the Harrington Department of Bioengineering at Arizona State University (ASU). He is Editor of the IEEE Press Series on Biomedical Engineering and the author, coauthor, or editor of fourteen books. His current research interests at the ASU Neural Engineering and Informatics, Wearable Technology, and Sensors Labs include the dynamics of motor function in Parkinson and post-stroke disease subjects, and the effect of developmental abnormalities and maturation on the dynamics of respiration. CHAPTER 3: ESTIMATION OF POSTERIOR PROBABILITIES WITH NEURAL NETWORKS: APPLICATION TO MICROCALCIFICATION DETECTION IN BREAST CANCER DIAGNOSIS (Juan Ignacio Arribas, Jes&uacute;s Cid-Sueiro, and Carlos Alberola-L&oacute;pez). CHAPTER 17: BIOMIMETIC INTEGRATION OF NEURAL AND ACOUSTIC SIGNAL PROCESSING (Rolf M&uuml;ller and Herbert Peremans). CHAPTER 30: MODEL OF MAMMALIAN VISUAL SYSTEM WITH OPTICAL LOGIC CELLS (J. A. Mart&ıacute;n-Pereda and A. Gonz&aacute;lez Marcos). CHAPTER 31: CNS REORGANIZATION DURING SENSORY-SUPPORTED TREADMILL TRAINING (I. Cikajlo, Z. Matja&ccaron;i&cacute;, and T. Bajd). CHAPTER 38: PROBING OSCILLATORY VISUAL DYNAMICS AT THE PERCEPTUAL LEVEL (H. Fotowat, H. &Ouml;&gcaron;men, H. E. Bedell, and B. G. Breitmeyer).